A backpack is just a like home for your camera that will travel with you. 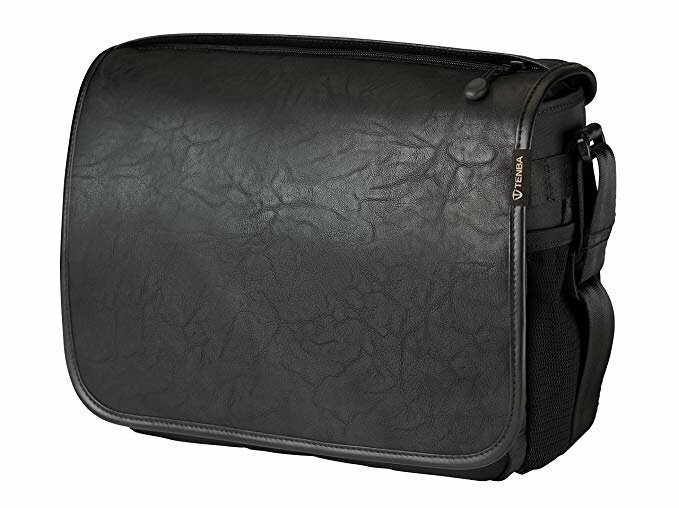 The best camera bag will load and protect your must-have gears and accessories from unwanted harm. 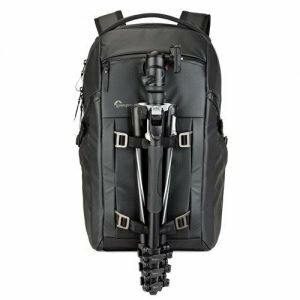 In this list, you’ll find my selection of the best DSLR backpacks, mirrorless camera bags, camera sling bags, small camera cases, and waist camera bags. 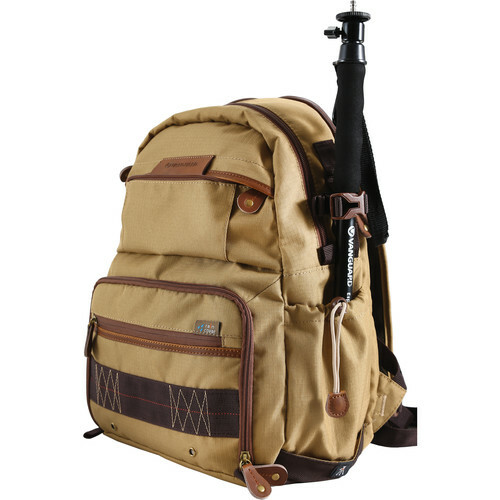 With the best camera backpack, photographers can keep our invaluable cameras, accessories, and gears from dust and damages. The top rated camera backpacks I selected for this recommendation are functional, stylish, and durable. Getting caught in the rain? Not a big deal. This water-resistant backpack is the top best for most photographers. Why? 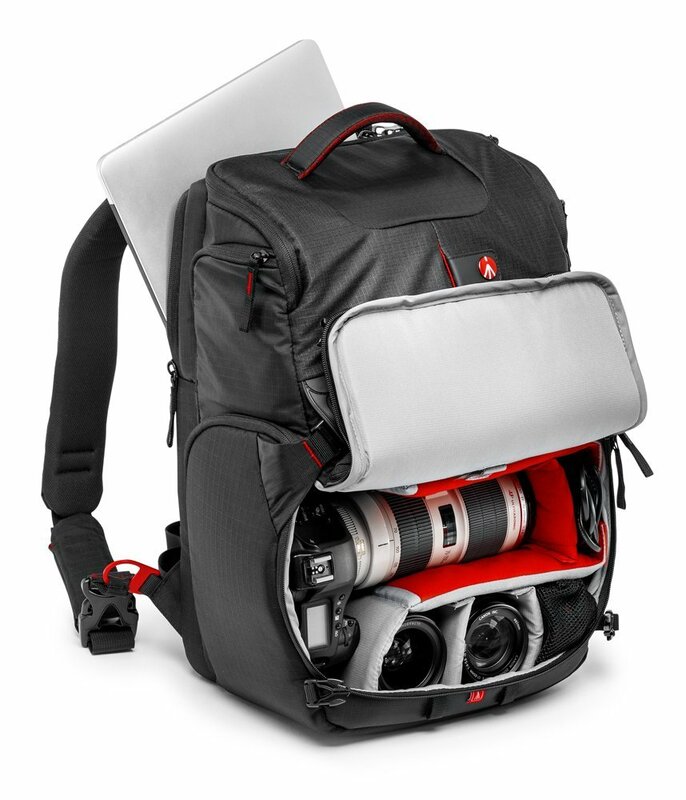 While it holds 2 DSLR cameras, 5-6 lenses, and 2 external flashes, you can accommodates one 15.0″ MacBook Pro laptop. 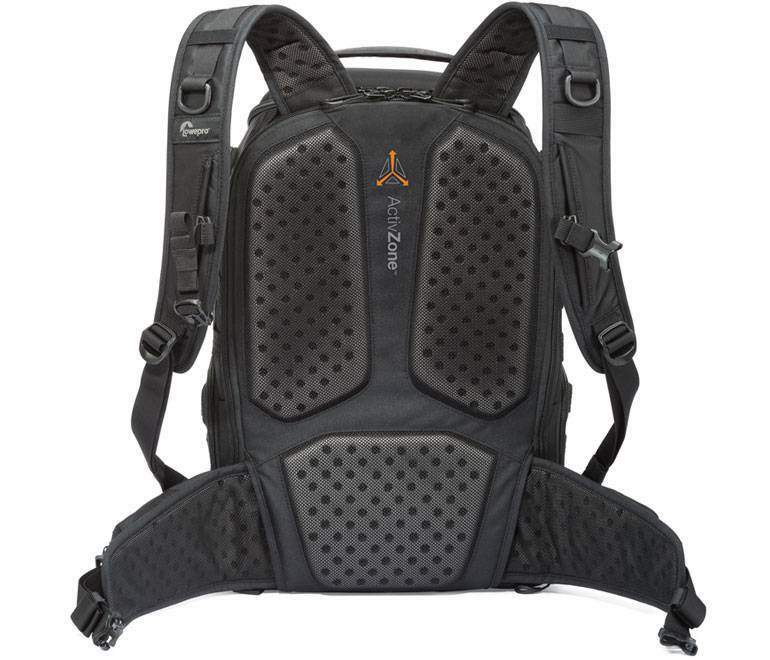 Unlike most padded camera backpacks, the Hex Raven’s design is really unique. Overall, the Hex Raven is best backpack-style camera bag this year. This camera bag has 4 carrying positions, quick draw side access, one hand opening, internal Height-44cm, 28cm internal length, and 16cm internal width. Just like any other Manfrotto’s camera bags, this MB PL-3N1-35 Backpack Versatile is quite functional. 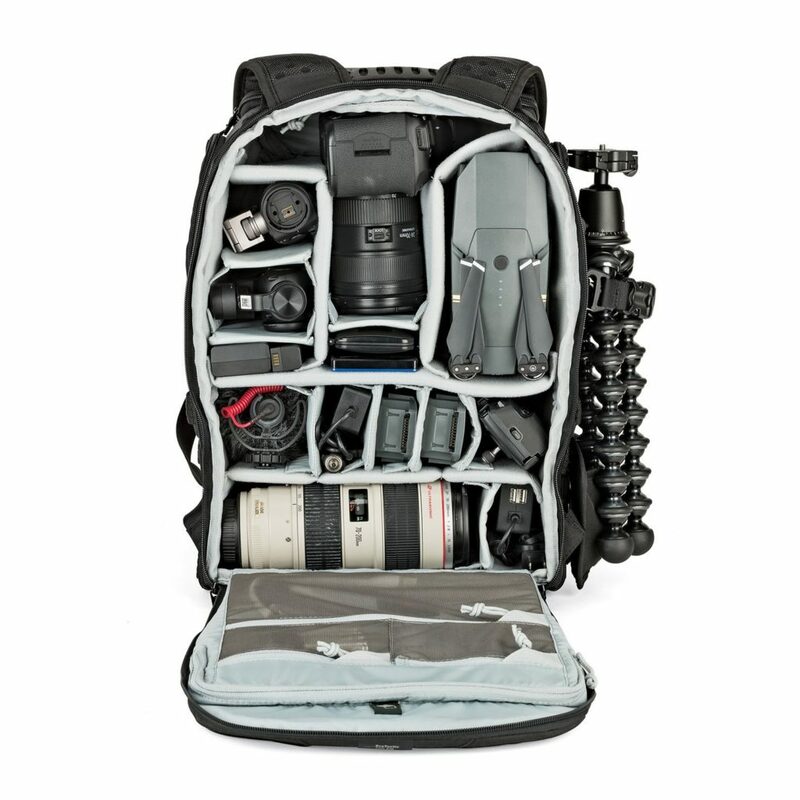 This camera bag can hold your camera, two lenses, some accessories and a tripod. I like this backpack for its flexibility. When it rains, you can use the reversible rain cover. Load a DSLR camera with 3-5 lenses? No problem. This is the best backpack for travel and street photography. Or to explore a city. The slim shape is just perfect for outdoor walk. This ProTactic 450 AW camera bag by Lowepro features ActivZone System technology to deliver targeted support at shoulder blades, lumbar and waist for comfort on the move. This is a professional backpack for Pro DSLRs and DJI Mavic Pro Drone. The smaller version (ProTactic 250) or Photo Sport AW 300 would be better choices to carry your gear on. 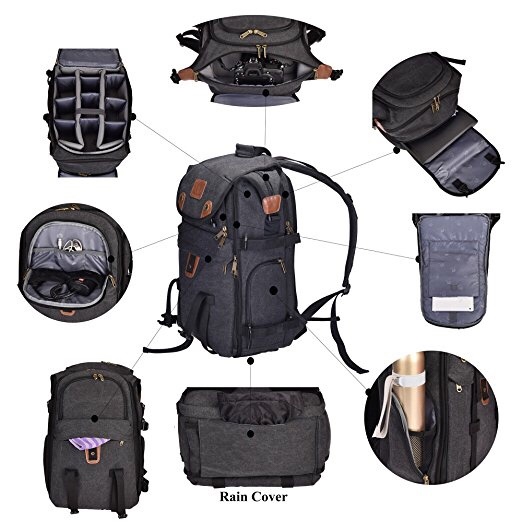 This camera bag is best for a DSLR with lens attached, 1-2 lenses, a flash, accessories, 13″ laptop, and personal effects. 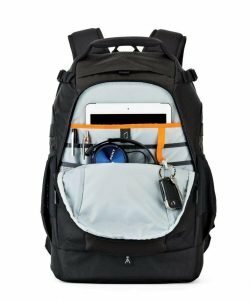 You can place a MacBook, a Kindle e-reader, a DSLR camera with two lenses, all necessary chargers and cables, two books, one magazine, camera accessories, water bottle, snack, glasses cases and more. This is a weather-resistant DSLR backpack. Its large zip-around opening reveals a spacious, fully customizable main compartment for lenses, flash, and other equipment. There is a mesh pocket that closes with velcro to hold valuable items (passport) in place when grabbing a charging cord. It shouldn’t be difficult to organize the padding to fit your camera and lenses. In addition to being adjustable and customizable, it’s also easy to organize your items. The bag straps is short for those with a broader chest and shoulders. 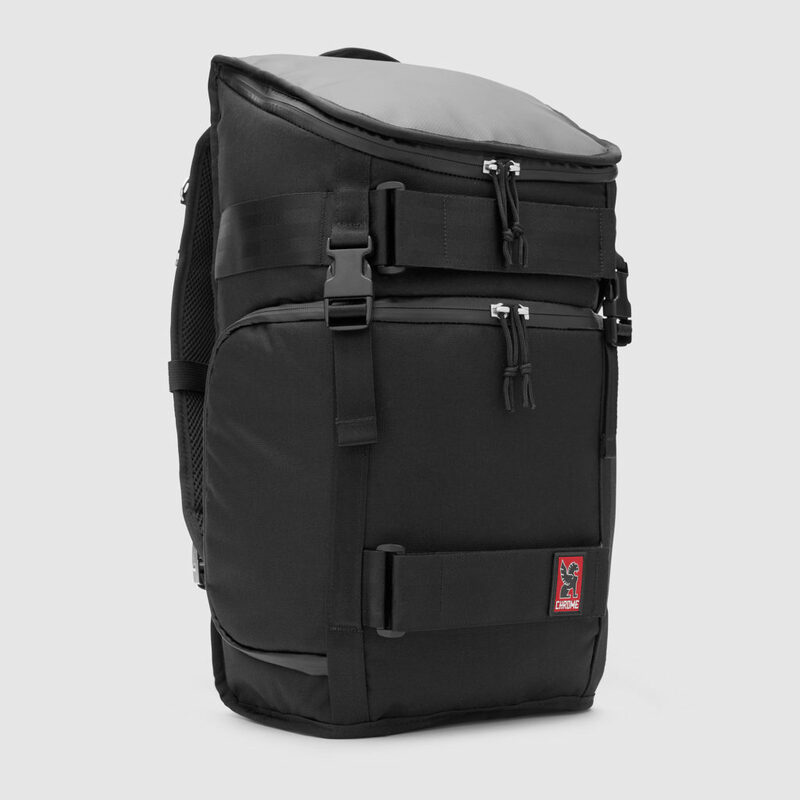 The Chrome Unisex Niko Pack is one of the most and efficient camera bags for most photographers. This bag comes from the one of the finest camera bag makers. The reason I like this camera bag because it can protect your DSLR and mirrorless camera and accessories in a set of pockets. This black color bag works well for most photographers. 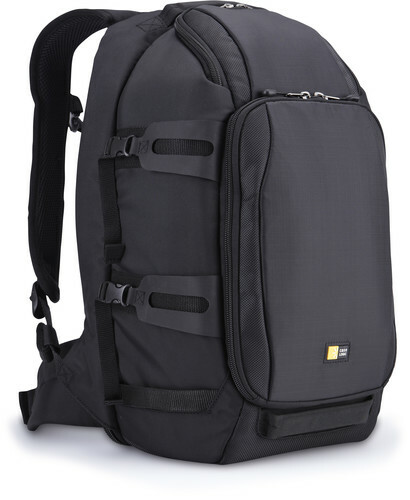 This is another Lowepro camera bag that I must include in this list. What’s the best thing about this camera bag and why I chose it for this review? 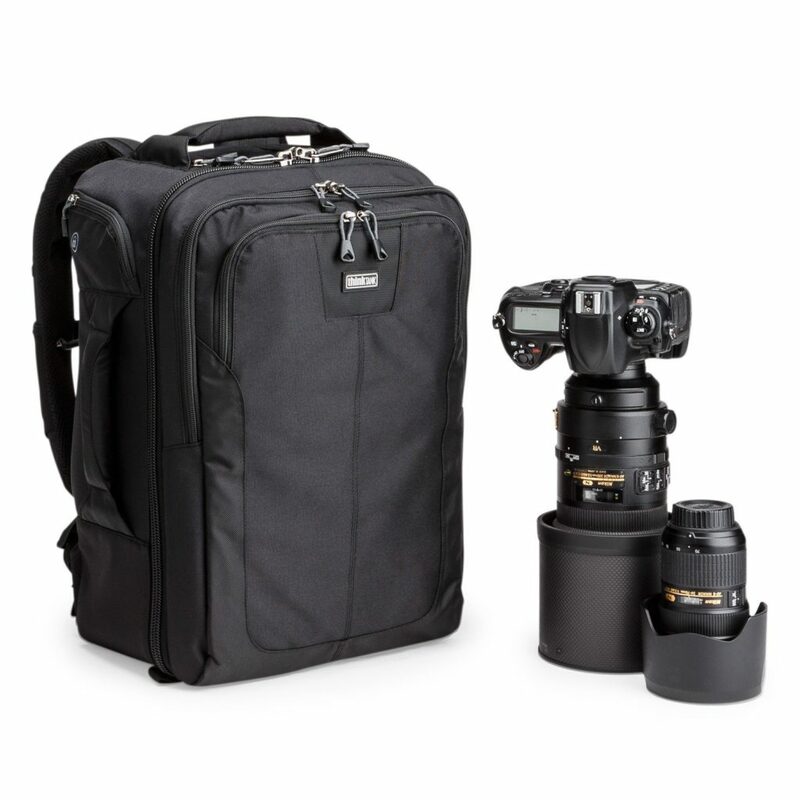 The Lowepro FreeLine BP 350 AW Backpack is very ideal for mirrorless and DSLR kits that features the all-new QuickShelf technology. Unlike the DSLR cameras, mirrorless cameras are mechanically simplified and often smaller and lighter. Not so bulky, it’s also easy for most photographers to have the camera with them most of the time. The best bags for mirrorless cameras are also smaller and lighter. For travel photographers with a mirrorless camera, this is the one of the best cases I highly recommend. The CosySpeed Streetomatic + mirrorless camera case will give you the most convenient way to carry your photo system on any given day. Safe, fast, flexible! Made from rugged and durable nylon fabrics, the Tenba Switch is another great option for your mirrorless camera and tripod. A good camera bag is extremely important when you’re out on a shoot or off traveling. With the best bag for Nikon D850 camera, photographers will feel secure when shooting outdoor or travel. To protect your new Nikon 850 camera, you need a good camera bag. Why? You’d feel safer and more secure to have your expensive camera in a high quality camera bag. I created this list of the best bags for Nikon D850 for those who are looking for a versatile, stylish, or affordable one. What if you’ve got a Nikon 850 camera with up to 7 lenses and flash or compact drone, and a MacBook Pro, an iPad and compact tripod? All you need is a high-capacity camera backpack for them while you can still easily go out and shoot. This Flipside 400 AW II gives you increased security, keeping gear safe and easy to reach. 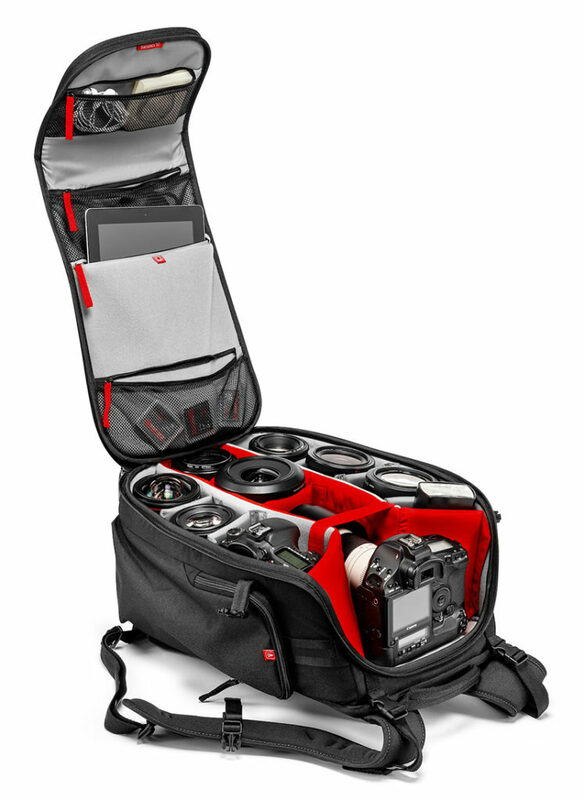 Believe it or not, the Flipside 400 AW II is one of the world’s best selling camera bags. With its high-capacity storage in a customizable and protective pack, it has plenty of room and flexibility to fit your devices. This camera bag has the extra protection from rain, snow, dust and sand. The bag is sturdy and comfortable with a heavy load. Also, the Flipside 400 AW II camera bag is very well made and good on the price too. So overall, it’s one of the camera bags I’d recommend for your Nikon D850. While the Manfrotto 50 might be much more than the money you’d want to spend, it’s the camera bag you shoud look into. The material used for the bag itself does repel water. However, for heavy rain you will want to use that cover. The material is fairly heavy and durable. While Lowepro Flipside 400 AW II is a recommended camera bag for your Nikon D850, I also have to add this ProTactic 450 AW to the list. 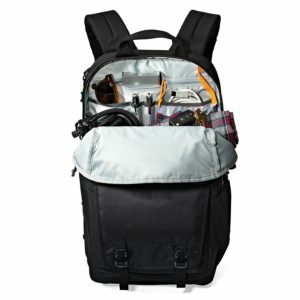 It’s a professional backpack can can load up to two DSLRs, one with up to 70-200mm f/2.8 lens attached, 8 lenses/speed lights, 15″ MacBoook laptop, a tripod, and accessories. In addition to this, you can store your DJI Mavic Pro drone. The build quality on this bag is amazing, is clearly a notch above the Manfrotto bag. the ProTactic is everything you’d hope after simply reading the headline. 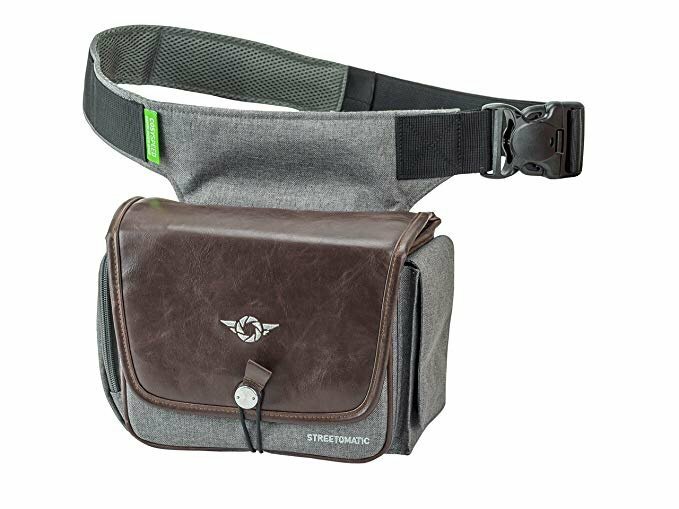 While there are many styles of camera bags, this is ideal for frequent travel photographers as they can take it as international or domestic carry-on bag. In the box, there are tripod straps, reinforced padded dividers, and cable lockSeam-sealed rain cover. It’s a great backpack for a Nikon D850 camera and all accessories (two lenses, charger, cables, battery pack, wipes). The bag uses the finest quality hardware, materials, and components. 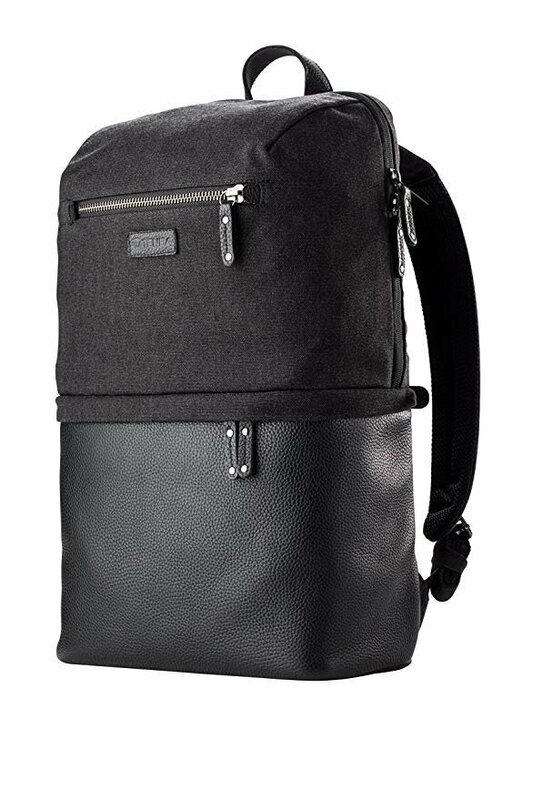 The premium quality leather and waxed canvas backpack looks beautiful. The Kenora backpack is stylish and functional. 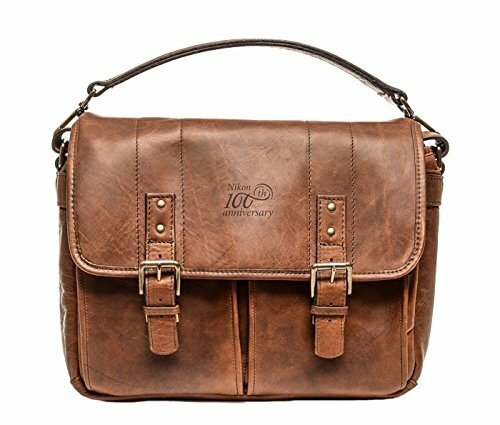 What a cool stylish messenger bag for Nikon D850. While Nikon D850 is the top camera, Nikon D7500 DSLR camera is one of the best mid-range DSLR for most photographers. It came out in 2017, about the same time to the D850. Strong and sturdy, this camera bag has a carrying capacity of 1-2 DSLR cameras, 4-6 lenses, flash, batteries and other photo essentials, as well as your laptop and tablet in a spacious main compartment. 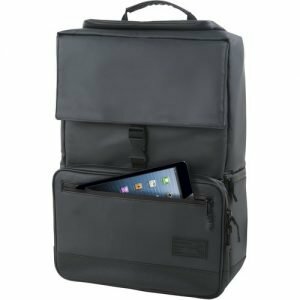 This DIGIANT product would be great for new school backpack/camera bag. Believe it or not, you can skate around the city or running to get your best shot. Overall, this camera bag is nicely made. It has great spaces. You can also create your own compartments. 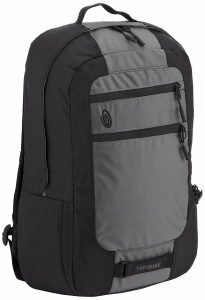 This travel-ready backpack, made by reputable Lowepro, was designed to fit a DSLR like the Nikon D7500. With this nice bag, you’ve got three primary zones — camera, device and open — to store, protect and carry a variety of gear. It’s larger than the Fastpack BP 150 AW II, therefore you can store a 15 inches laptop. 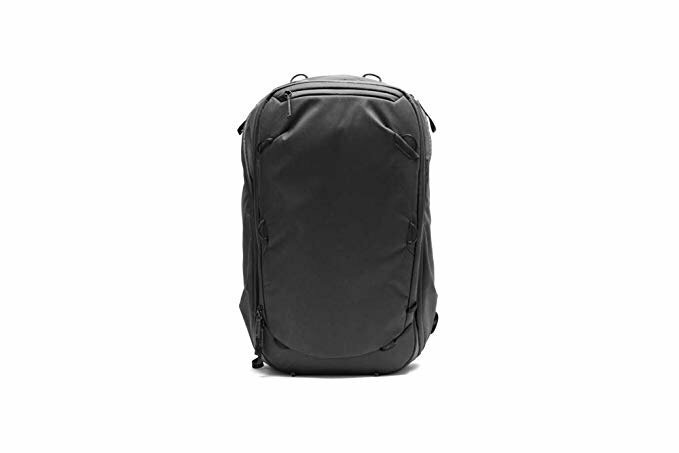 Top rated this year is the new Peak Design Travel Line Backpack 45L. Although this brand-name backpack is not cheap, but you’ll get the best value for what you buy. There are many types of camera bags for compact, DSLR and drones: rolling bags, waterproof bags, for hiking, and for women. Each type of bag has its own purpose to serve photographers’ need. My lists above will help most photographers find the ideal choice. In my previous review, I wrote about the accessories and bags for D850. I believe the Nikon D7500 camera bags are very much worth a good review. Therefore, I decided to spend a good amount of time finding and selecting these top best Nikon D7500 camera bags. So what are you waiting for? Buy and start traveling! Having the best small camera bag life easier for most travelers, especially those who own a mirrorless camera. There are many factors when it comes to buying a DSLR camera bag. Quality (durability) and price are the main factors to consider. In addition to this, it’s also about your favorite style, a messenger bag or a sling bag, or a backpack. Professionals invest in the best camera bag, so we can can load the Nikon DSLR camera as well as its accessories. 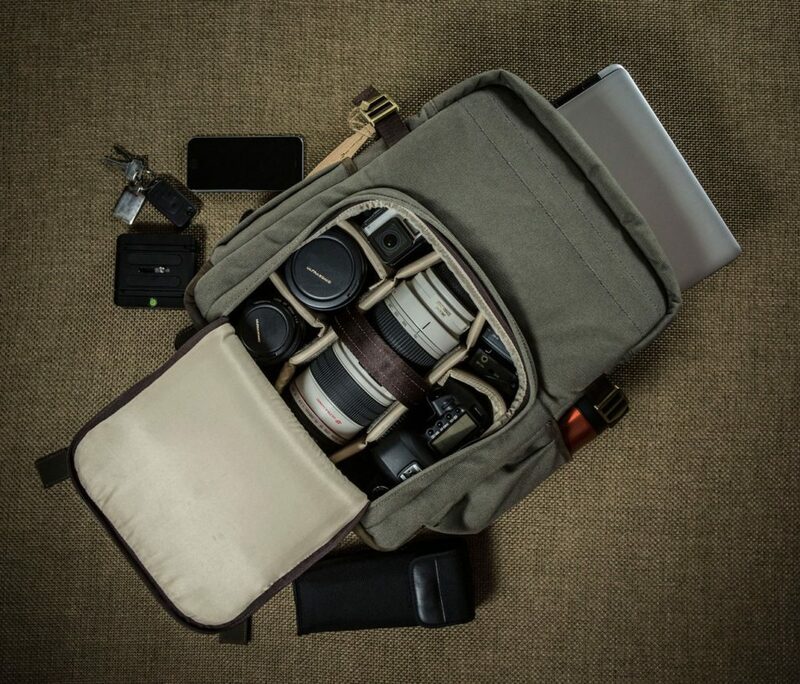 Not all camera bags are made equal. Things to consider are: features and function, within your budget, durability, and water resistant for travel photographers. My list of the best camera bags, backpacks, and cases will help you find the ideal one to pack your DSLR and mirrorless cameras. With the best camera backpack, you’ll feel good to carry your camera with you. Enjoy your outdoor and travel photography.